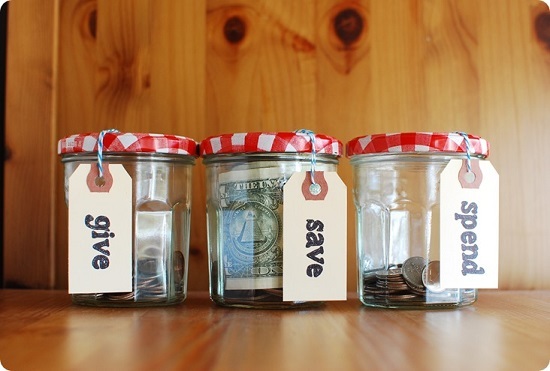 If you’re looking for some of the best DIY Piggy Bank Ideas to teach your kids financing and money-saving–They’re here! 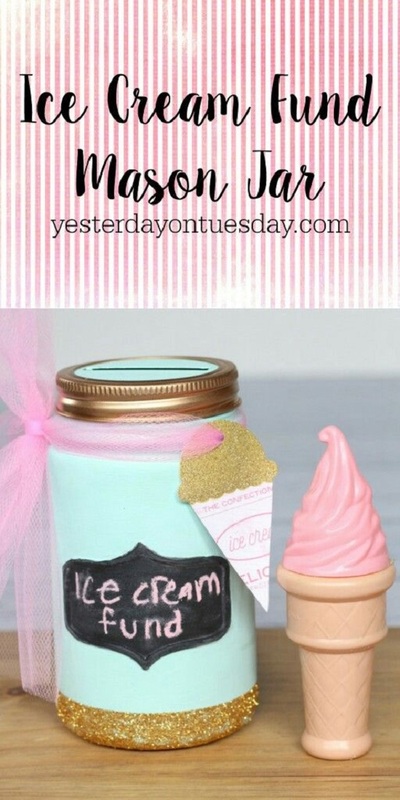 A mason jar meant just for ice-cream funds is a smart way to interest the kids into saving for their sweet cravings throughout summer vacation. Learn to make it here. 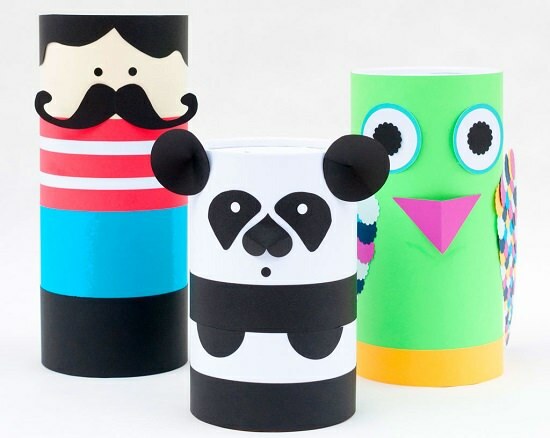 A fun way to recycle old cardboard boxes, this coin bank comes with ample opportunities for customization, making it easy to whip up new ones from the same template. Check out the DIY here. 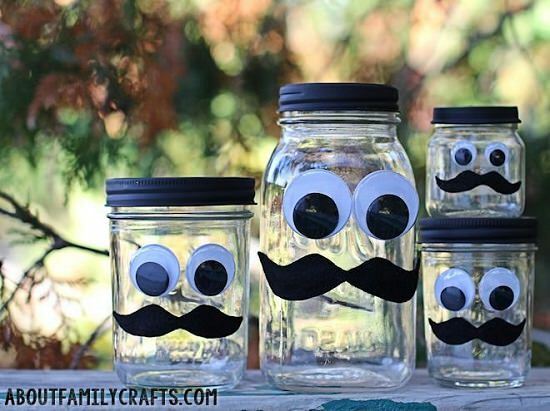 In this DIY, three clear glass bottles have been wrapped with yarn and labeled differently to excite the kids into partitioning their money for noble causes. Get the DIY here. 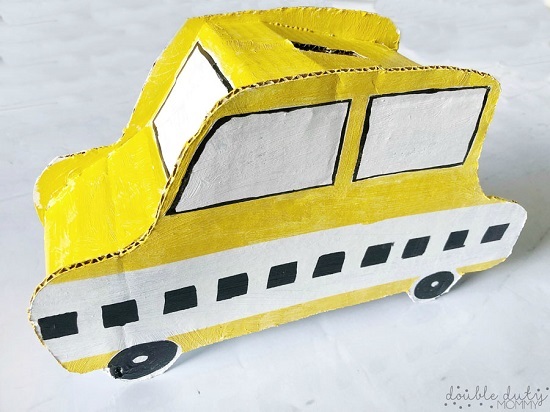 With lots of character and a cool 2-D structure, this airplane saving bank is one of the funkiest piggy bank craft ideas in this list for kids. It can be made with everyday items like color paper and plastic bottles. See the steps here. 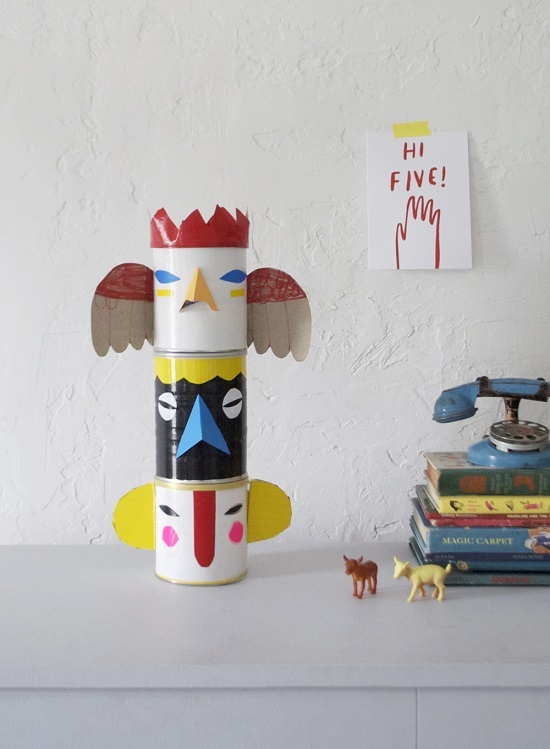 This artsy Totem pole-themed piggy bank is an array of three cans in disguise, making it perfect for kids who are aiming to save money for multiple ventures at the same time. Get the DIY here. 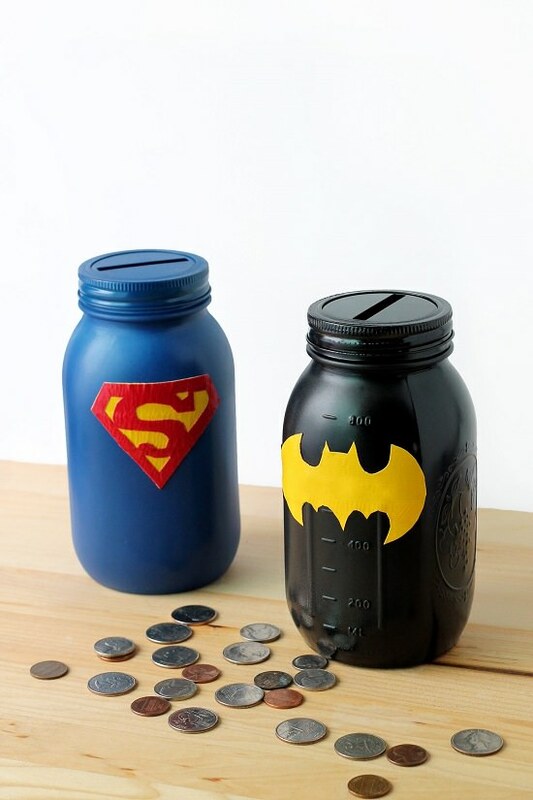 A perfect accessory for the boy’s bedroom, this superhero-themed piggy bank is a fun prop to get your kids started on the basics of financial management. Follow the instructions here. 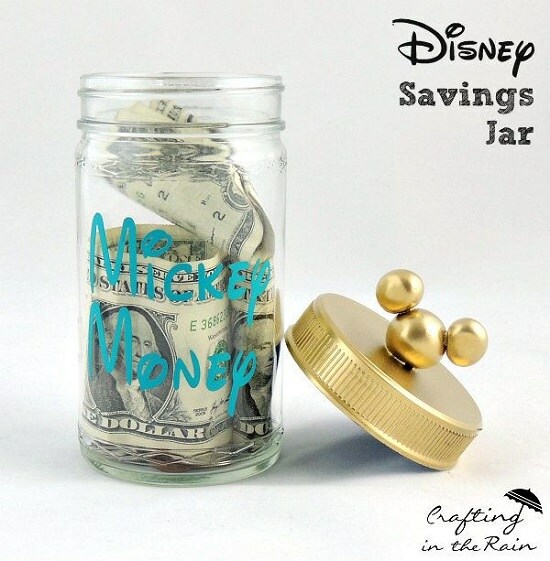 This piggy bank with a purpose will excite your kids into keeping aside their pennies for their dream trip to Disneyland. Get the tutorial here. 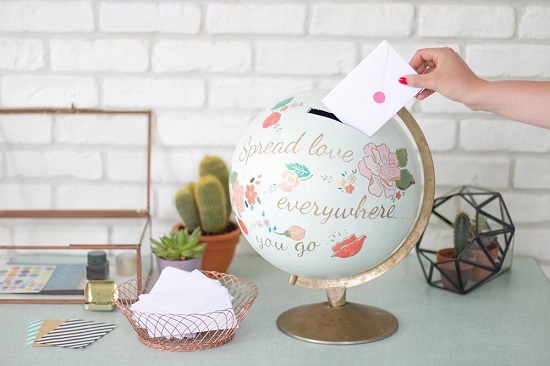 This guestbook-inspired coin globe is also a beautiful decor item that is likely to be a permanent part of your home long after the kids have learned all about money counting and saving. Check out the instructions here. This is not your ordinary piggy bank. 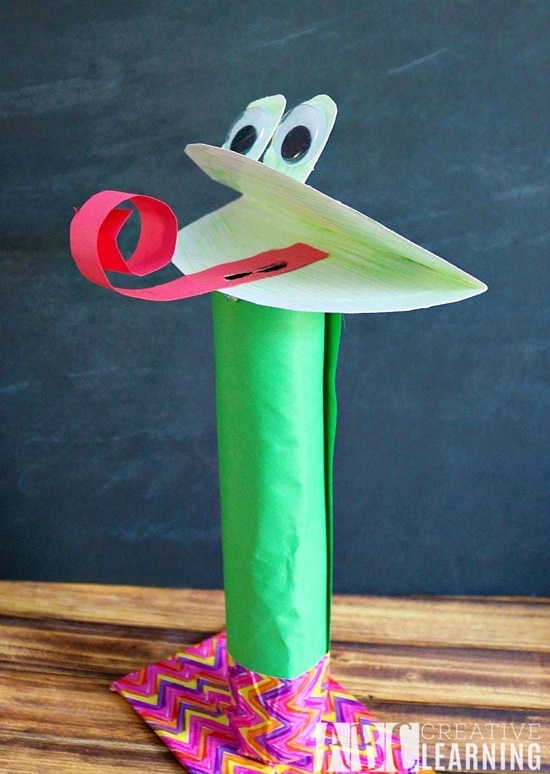 This is also a fun play activity that uses things already lying in your kid’s craft collection. Get the DIY here. This DIY idea uses all the things that kids love, right from Pringle cans to stickers and Mod Podge, making it a fun endeavor to engage over the weekend. Check out the steps of Jennifer Williams. 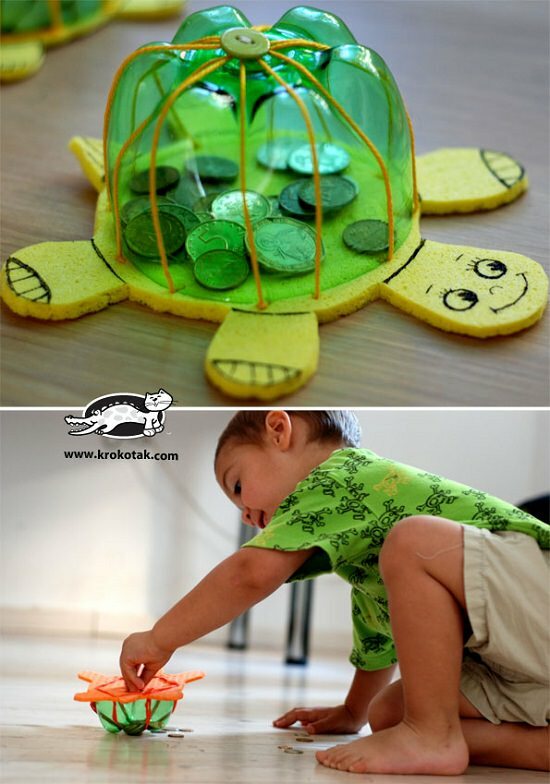 Make a turtle cash box using a bottom of the plastic bottle and some other supplies. The DIY here is available in Bulgarian, translate it in English. 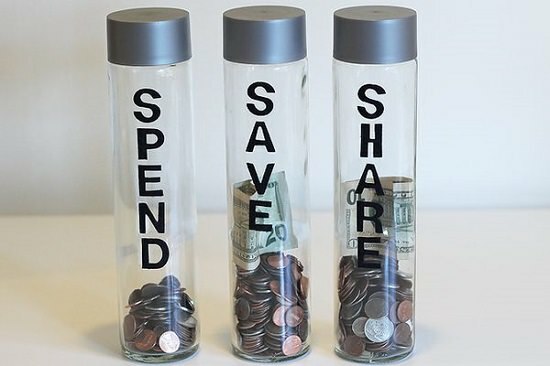 Few clean jars, googly eyes, stickers and 10 minutes of spare time are all you need to create these decorative saving banks that let you display your coin collection as well. Get the details here. Upcycle a bleach bottle to make this cute piggy bank. See the instructions here. For a refreshingly different twist on your piggy bank idea, consider going with the dinosaur motif this time. Follow the tutorial here. 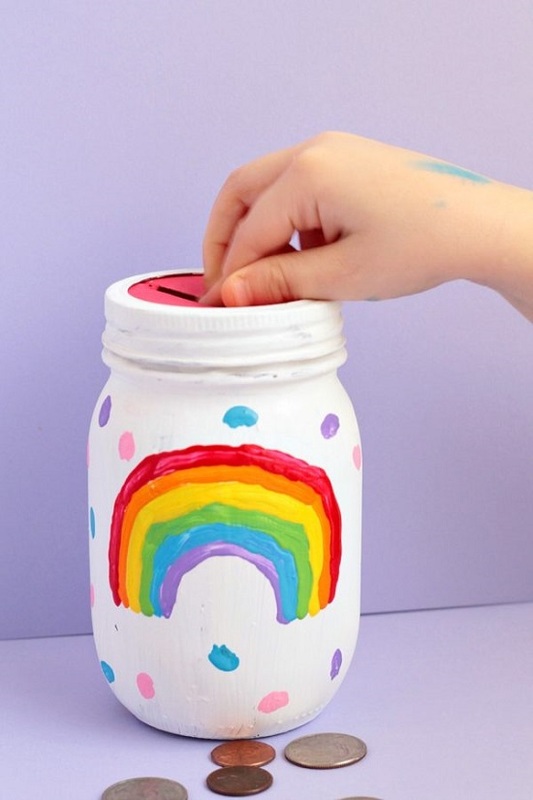 Inspired from an old Leprechaun legend, this rainbow-themed coin bank is fun to use and adds a pop of color to the kids’ bedroom. Get the details here. 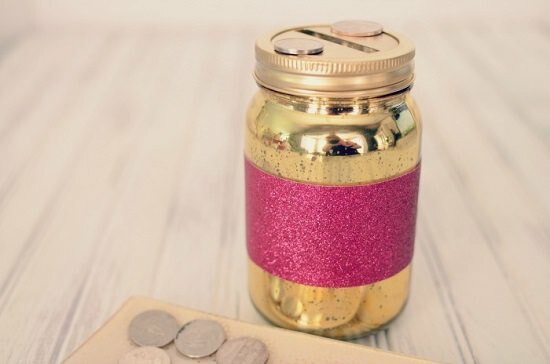 If you didn’t like the previous DIY piggy bank ideas, this glamorous one is perfect for your girl, consider trying this DIY involving lots of glitters and metallic spray paint. 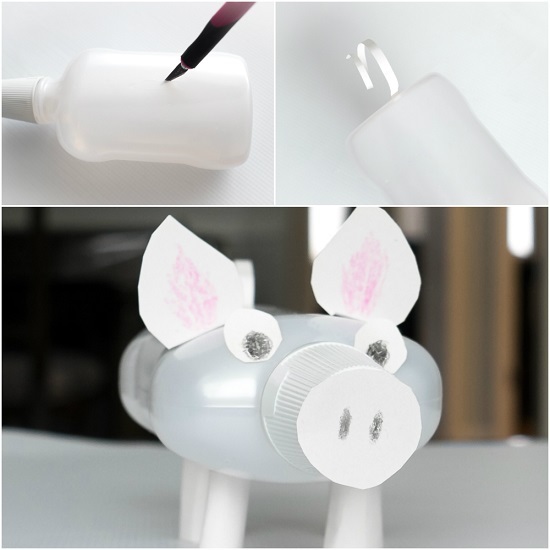 Made from a plastic jar, this cute piggy is fun to use, considering that it screws out for easy access to saved pennies. Follow the instructions here. 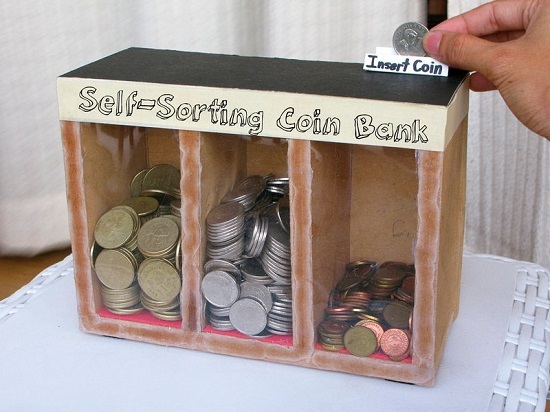 This eco-friendly wooden coin sorter uses gravity to sort coins automatically, negating the need for batteries. Get the DIY here. With a rainbow color scheme that is easy to follow, this mason jar project is one of those DIY piggy bank ideas that the kids can tackle alone. Get the details here. 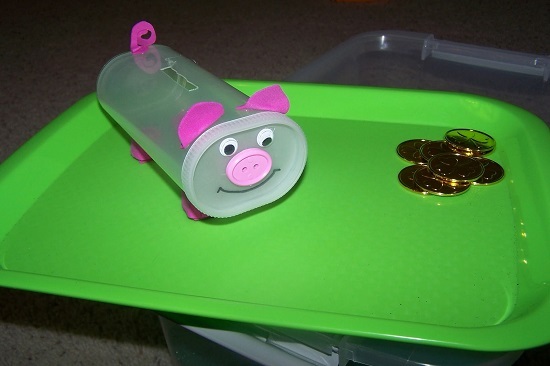 This vertical piggy bank is a clever way to reuse empty tissue box while encouraging healthy financial habits in kids. Here is the complete tutorial. Using a milk carton or if you’re feeling fancier, a plastic terrarium as the base, you can fashion a chic coin bank that makes a nice gift for the holidays too, if you’ll be able to decorate it well. Check out the DIY here. 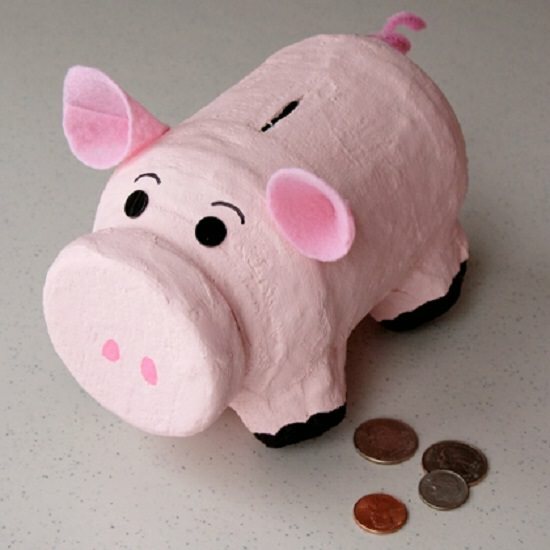 Taking inspiration from your kid’s favorite animated character is a nice way to get them interested in money-saving, like this DIY piggy bank craft idea promotes, with its robot and piglet coin bank ideas. Get the details here. Mason jars never fail to work. When you want a cute cash jar that looks good sitting on your juice stand and also has enough room for holiday funds, take a look at this DIY. 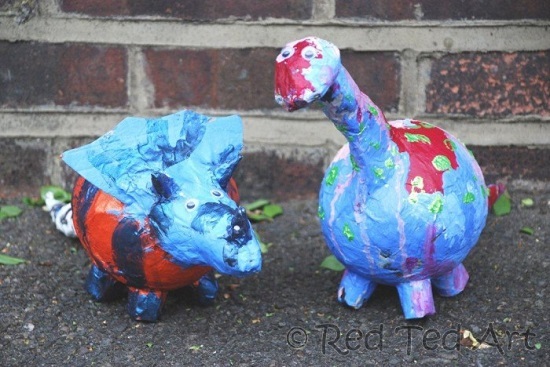 Equal parts messy and equal parts fun, papier-mache piggy banks offer tons of sensory stimulation, keeping kids glued to the art. Get the instructions here. 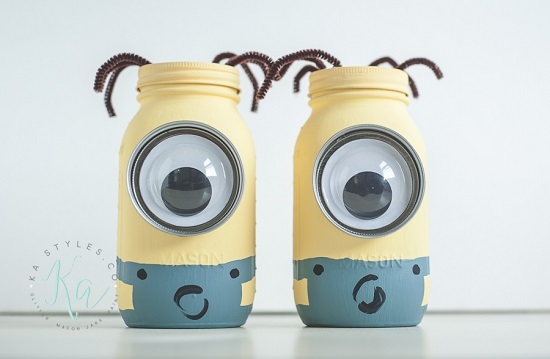 When it comes to Mason jar accessories, nothing beats googly eyes and Minion-inspired paint. 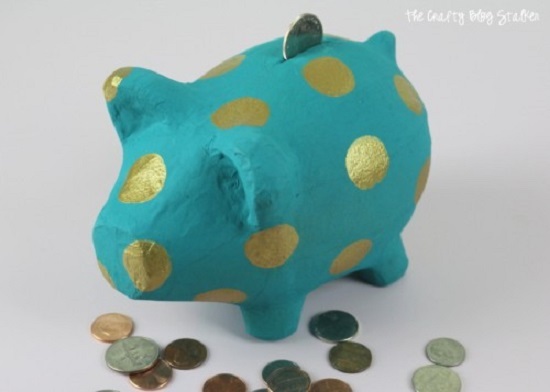 This DIY is the ultimate piggy bank idea to add character to the shelf. 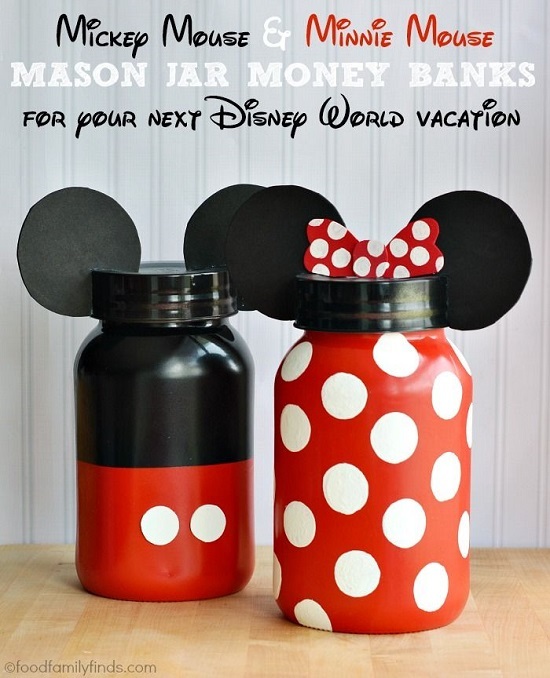 If Minions don’t quite appeal to you, these twinning Micky & Minnie jars will seal the deal. They’re equally easy to make and add a brighter pop of color to the rack. Get the instructions here. 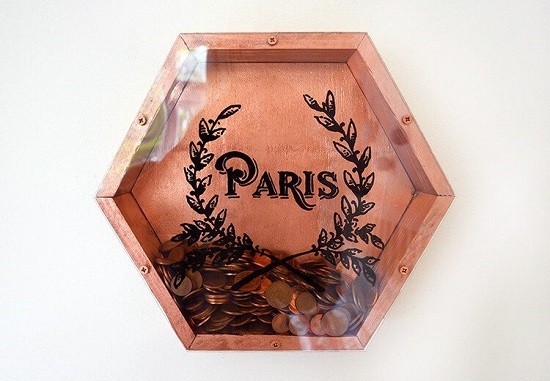 Wall-mounted vaults are a neat way to showcase the metallic beauty of pennies and foreign money while helping you clear up storage space. Make your own with this DIY here. 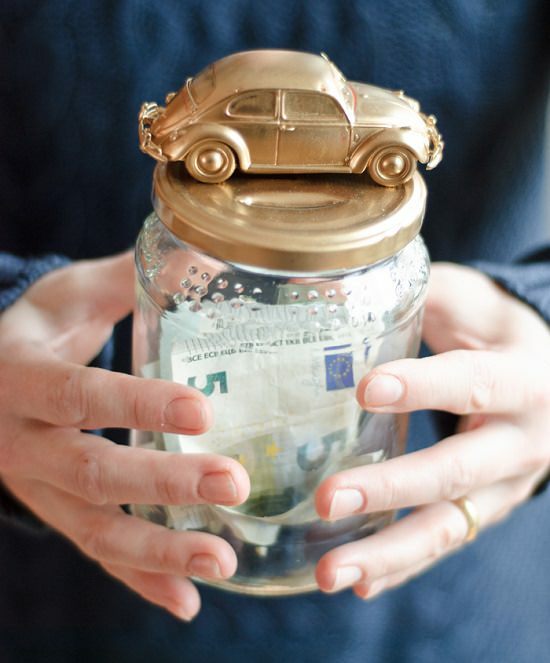 Translate this German website and read the DIY car coin bank article here. 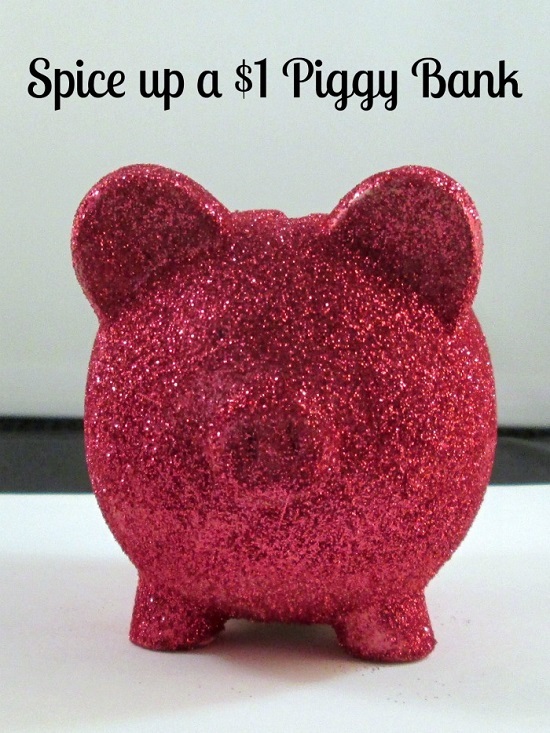 Slathering up with glitter is the ultimate way to glam up a plain piggy bank or an old one that has seen better days. Get the DIY here. With a design that appeals to adults as well, this disguised money bank is easy to customize to a style that goes with your personality and the room decor. Get the DIY here. 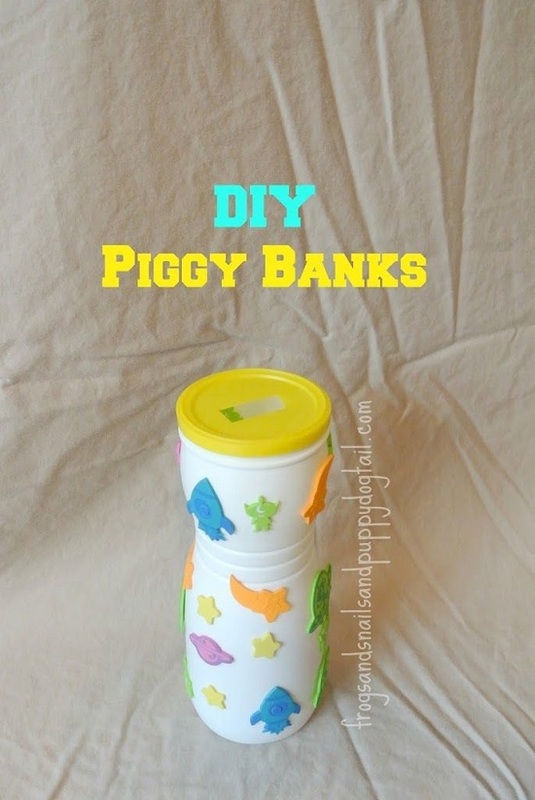 DIYing this puff bottle-upcycled piggy bank is easy and lets your kids have fun customizing it. Here’s the tutorial. 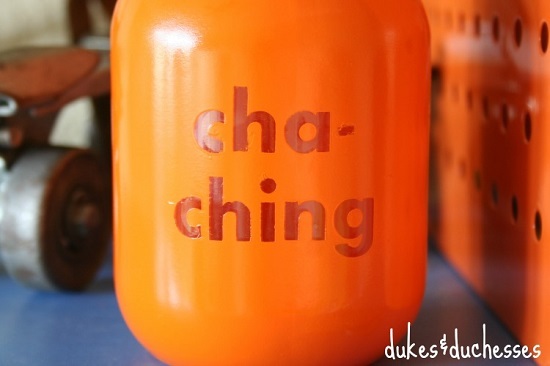 Perfect as a guy project, this jelly jar salvaged as a coin bank makes it easy to create one every month. Follow the instructions here. Embellish an old Formula can with decorative fabric, ribbons and a dollar tag to create a chic coin bank that is just the right size to save up on change while traveling. Get the DIY here. Shaped like a giant pencil, this ordinary mail tube found new use as a storage container for not only pennies but also dollar bills. Get the DIY here. Whether you want to teach your kids some basic Maths or get them started on good saving habits, this frog-themed coin bank has you covered. Follow the tutorial here. Made with a plastic bottle and pink foam stickers, this piggy bank actually looks like a festive prop, but the good news is that it’s relevant year-round. Make one with this DIY here. Why discard empty tissue boxes when you can always crochet around them like this DIYer did to create a one-of-a-kind piggy bank. Transforming a drab coffee can into a purposeful and decorative item is both fun and fulfilling. Give this DIY a try. 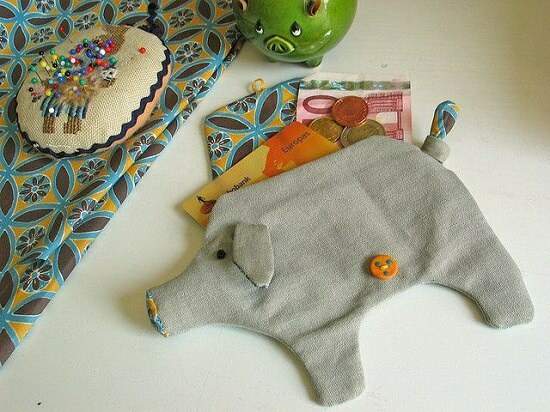 Follow the instructions here to make these amazing DIY piggy bank for adults or kids as well. This cute polka-dotted piggy bank is an artsy offering to a contemporary-style dressing table and keeps your change handy when you’re in a hurry. Get the DIY here. 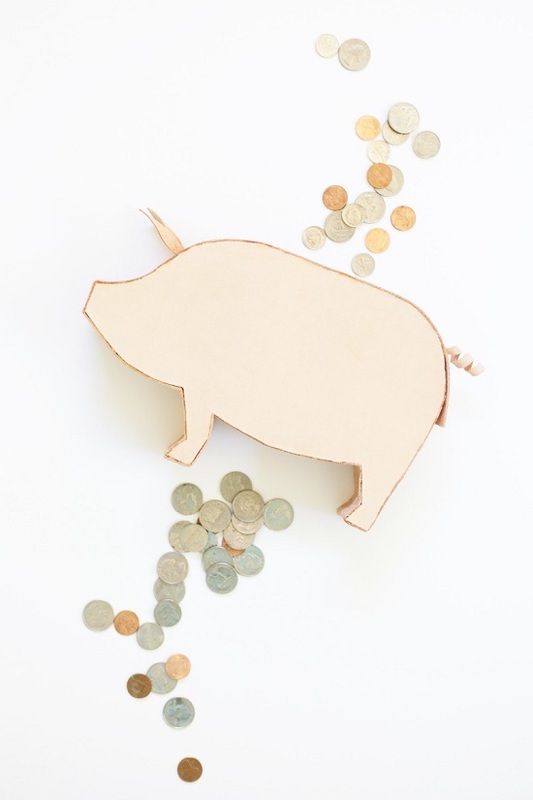 Adorable and space-friendly, this trendy leather piggy bank has a secret opening for emptying the coins, so you won’t have to rip apart the entire thing. Follow the DIY here. These piggy banks disguised as whimsical gift boxes excite your child’s imagination, making it a fun challenge for them to save as many coins as they can. Make them with this tutorial. 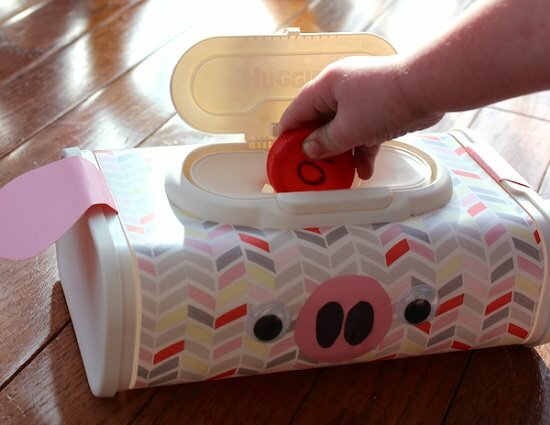 With recycled materials and cute cutouts, this zero-waste DIY piggy bank project makes a nice addition to your child’s room. Get the instructions here. 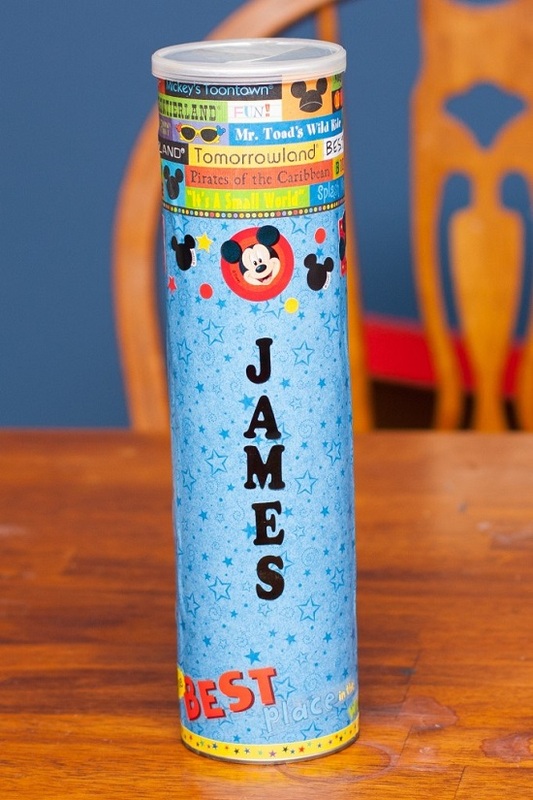 For busy moms that won’t stay still for more than 10 minutes, this easy coin bank DIY involving a cardboard box and a few strategically placed stickers does the trick. Follow the steps here. 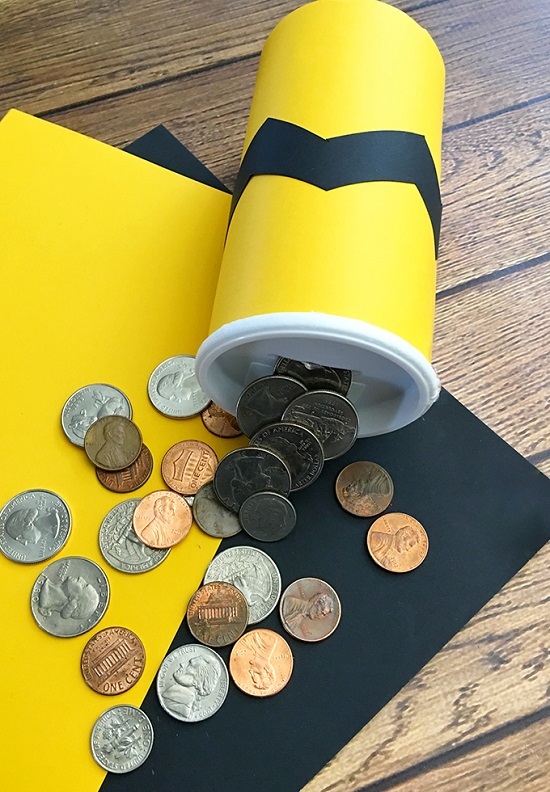 Salvaged from an empty roll can, the Charlie Brown Coin bank is super easy to make, even for five-year-olds, making it a fun project to get the kids started on the basics of financial management. See the instructions here. How would you like a glass block that not only adds to your decor but also lets you showcase your saved coins. 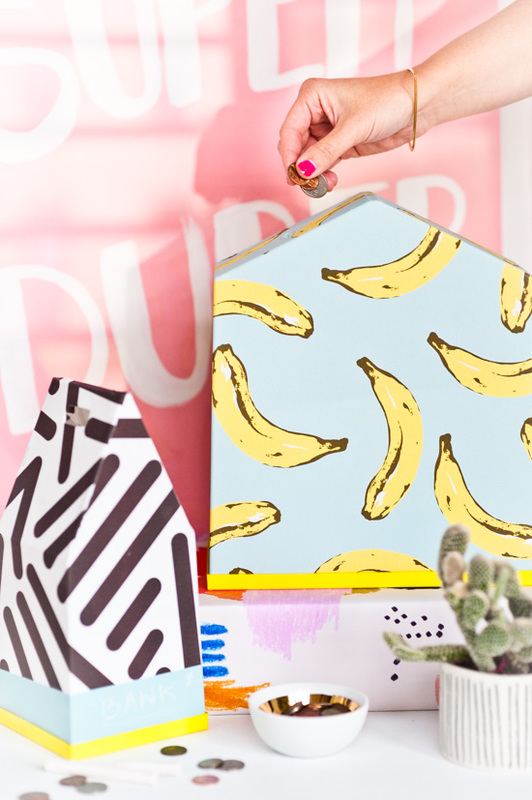 This DIY is all about that! 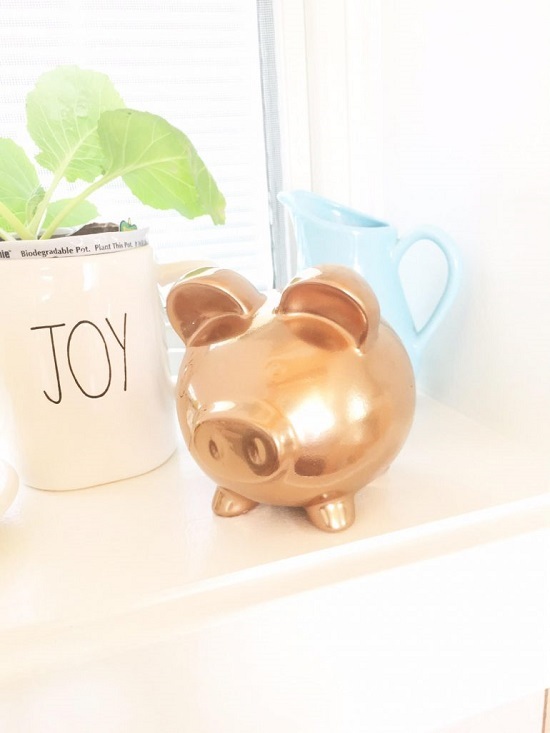 It’s hard to guess that the origins of this fancy-looking rose gold piggy bank lies in a thrift store, making it a nice gift for the spendthrift kid. Check out the DIY here. A piggy bank shaped like the much-adored “Maxi the Dog” makes it fun for the kids to save their hard-earned pennies. Get the tutorial here.